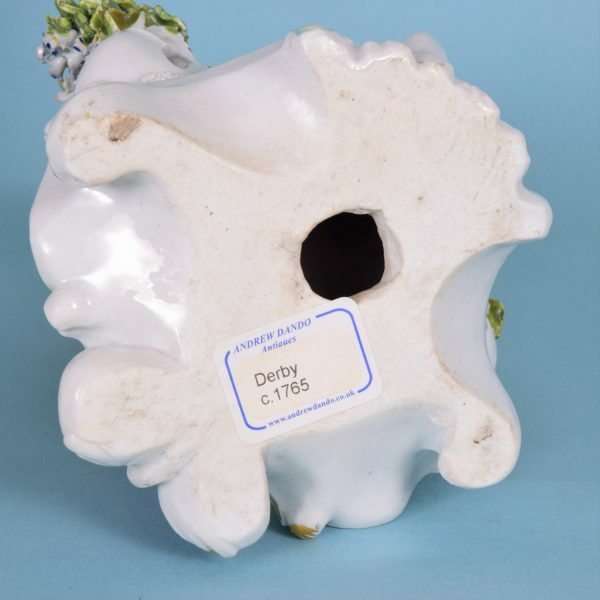 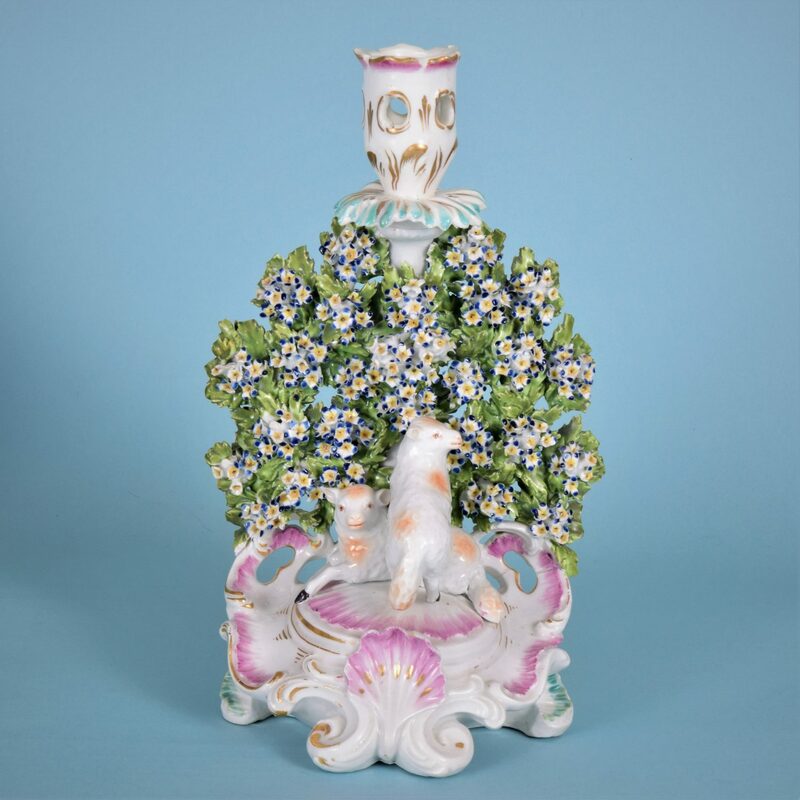 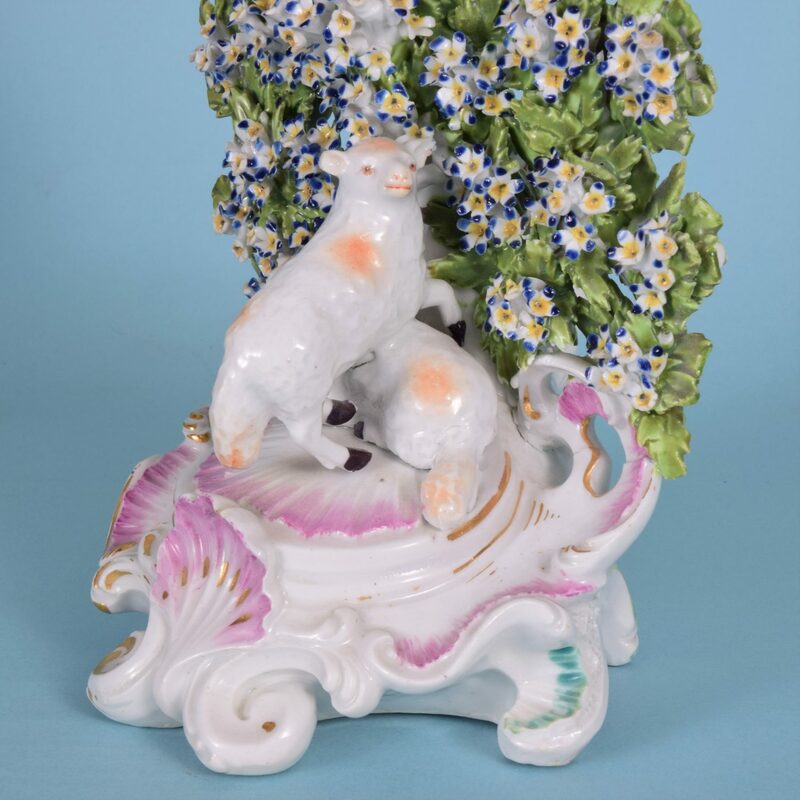 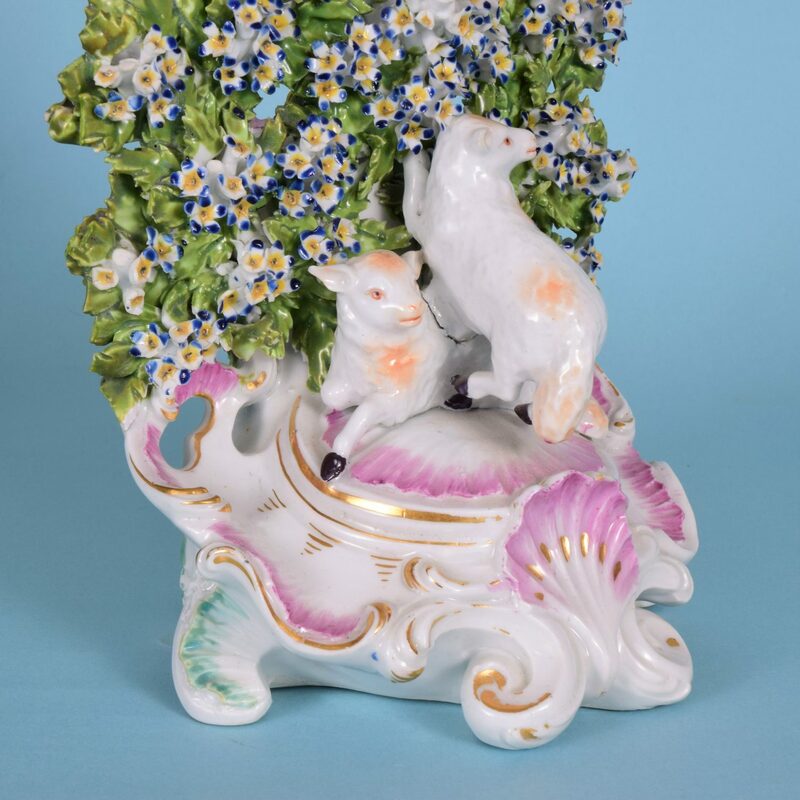 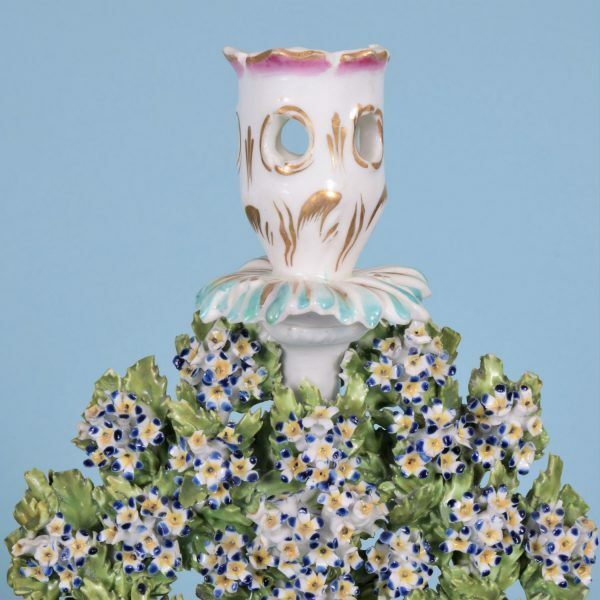 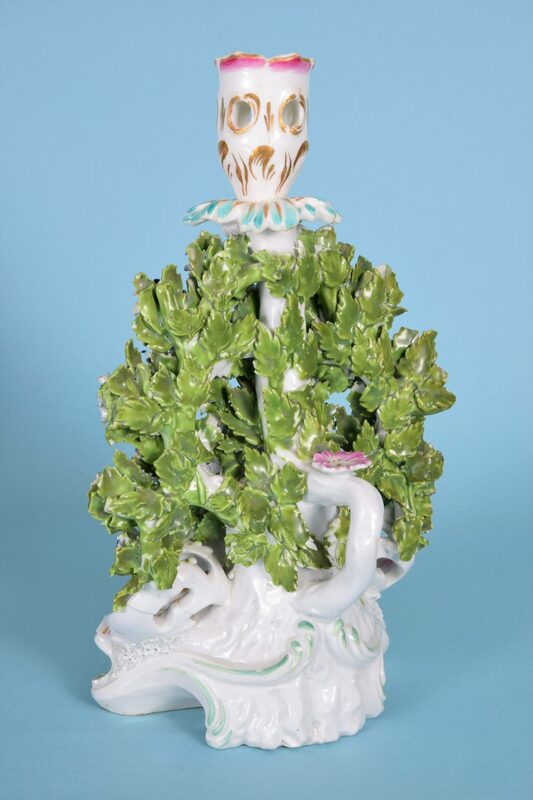 18th century Derby porcelain candlestick group of two lambs on a scroll moulded base with elaborate floral bocage, candle sconce and a carrying handle at the back. 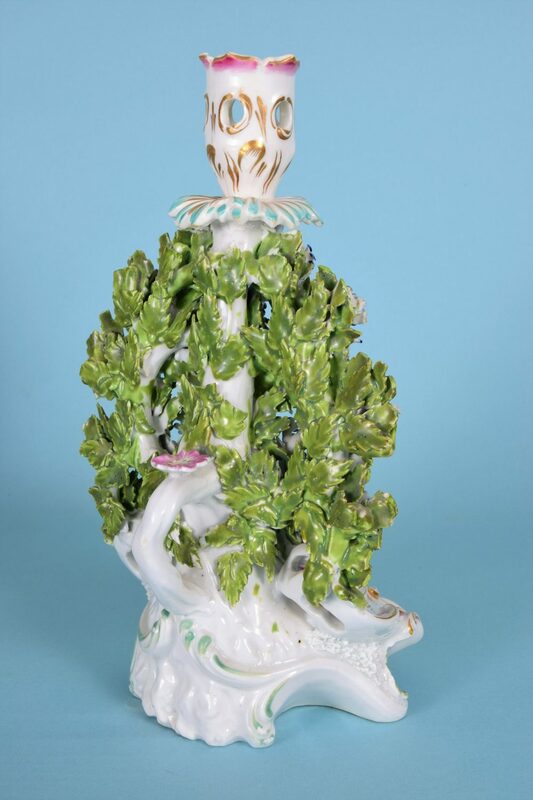 Condition: Faint hairline to sconce, the sconce has been re-attached. One lamb’s ear chipped. Multiple small chips & losses to flowers & leaves.